IBM Endpoint Manager for Server Automation V8.2, is an add-on to other Tivoli Endpoint Manager solutions. This domain offers a range of server automation capabilities from provisioning VMware virtual machines to deploying middleware softwares like IBM DB2 , IBM Websphere Application Server and Microsoft SQL Server. Advanced server automation capabilities will help you lower your costs and improve efficiency. 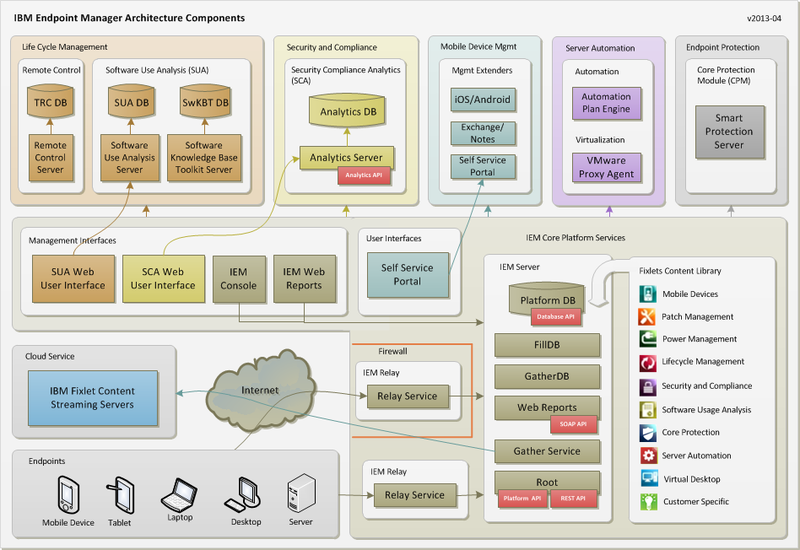 IBM Endpoint Manger for Server Automation (IEMfSA) is uniquely positioned as an advanced server automation solution in the Tivoli portfolio that builds on lifecycle management capabilities to enhance IT automation and provide a bridge to cloud computing. 1. Ability to manage physical and virtual endpoints in your data centers. 2. Support for deploying and managing complex middleware softwares like IBM DB2, IBM WAS and Microsoft SQL Server. 3. Delivers an easy way to build custom content with a powerful Relevance scripting language. 4. Allows cross-server sequencing of existing and new fixlets with the help of Automation Plans. 5. Painless and in-expensive automatic updates of new and current features via the TEM content delivery cloud based service. Physical and virtual server management provides a single interface across patch management, lifecycle management, and server automation, and simplifies operations and lowers costs. It improves the visibility and control of all your systems including the ability to view and manage both physical and virtual endpoints (laptops, desktops, and servers) from a single interface. Middleware deployment of multitiered business applications typically require a lot of manual intervention to get them deployed and configured in the optimal way to deliver business services. 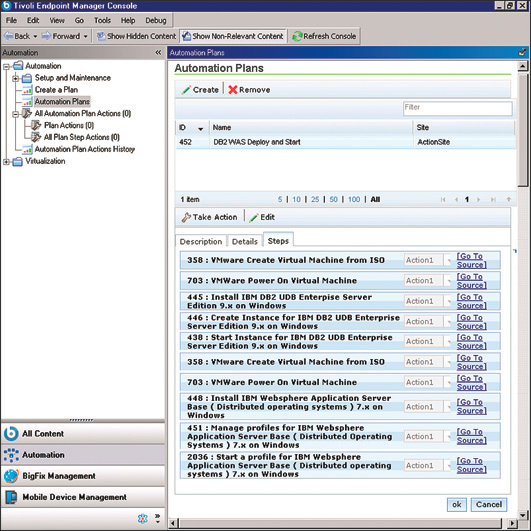 IBM Endpoint Manager for Server Automation provides the ability to easily deploy, configure and manage a variety of middleware applications like IBM DB2, IBM WAS and Microsoft SQL Server. With IBM Endpoint Manager for Server Automation an organization can leverage advanced server automation capabilities with proven Tivoli Endpoint Manager benefits. IEMfSA simplifies server automation and reduce costs for IT operations.